Photo courtesy of Tony Carranza One of the works of art on display at Arte Américas' “Posada 100;" the gallery's 26th annual Dia De Los Muertos exhibit. 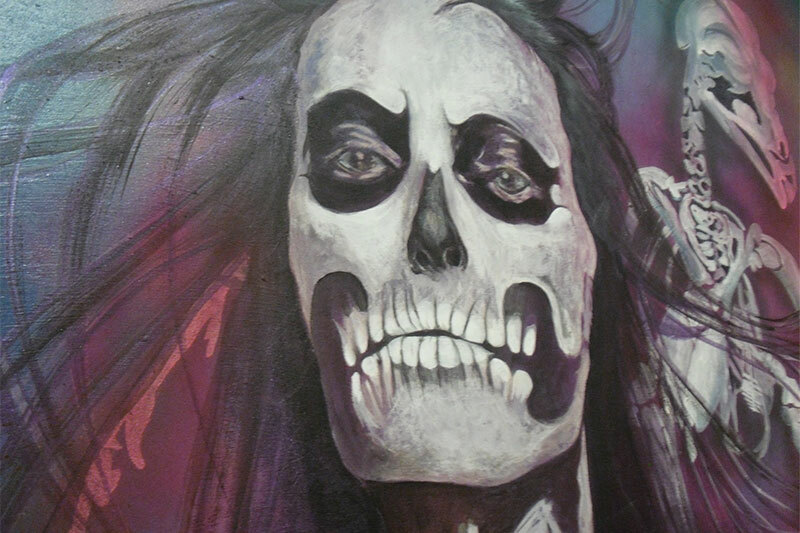 One of the works of art on display at Arte Américas’ “Posada 100;” the gallery’s 26th annual Dia De Los Muertos exhibit. 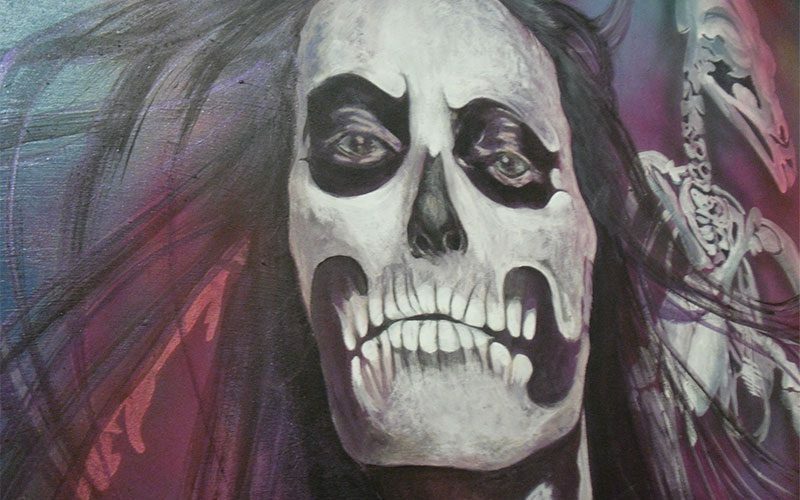 Continuing the Halloween festivities, Arte Américas in Downtown Fresno is celebrating the Day of the Dead with “Posada 100,” its 26th annual Dia De Los Muertos exhibit. On its website, the gallery also invites you to participate in a few other events, including “CalaGala” on Saturday, beginning in the Fulton Mall. Before the celebration, guests are invited to participate in free face painting at the mall, crafts and samba drumming workshops. The workshops are followed by a candlelit procession back to Arte Américas, where the gala begins. Admission is $1, and some workshops are $5. For more information, visit http://arteamericas.org/. From today through Sunday, families and their little ones are invited to tag along with all their favorite Disney characters as they journey under the sea, to London and more. The show also features appearances by Mickey and his friends, Peter and Wendy and Lilo and Stitch. Tickets range from $20 to $57 and can be purchased at Selland Arena’s box office from 10 a.m. to 6 p.m. Monday through Friday, on www.Ticketmaster.com or by calling 1.800.745.3000. The Fresno Philharmonic ushers in fall with “I Got Rhythm,” a celebration of American and Latin American music, featuring well-known pianist Orion Weiss and music from the Latin Grammy Award-nominated album “Latin American Rhythms.” Weiss will play George Gershwin’s I Got Rhythm Variations and Maurice Ravel’s Piano Concerto in G at the concert, which takes place at The Paul Shaghoian Concert Hall at Clovis North High School. Tickets are available online at www.fresnophil.org or by calling 559-261-0600 Tuesday through Friday from noon to 4 p.m.
University Theatre presents “Our Town,” a play written by Thornton Wilder and directed by J. Daniel Herring. Set in the early 20th century, the show follows a number of characters throughout their lives and explores themes based on Wilder’s own interpretations of the human existence. The show runs weekends through Nov. 9. For tickets and more information, call the box office at 559-278-2216.